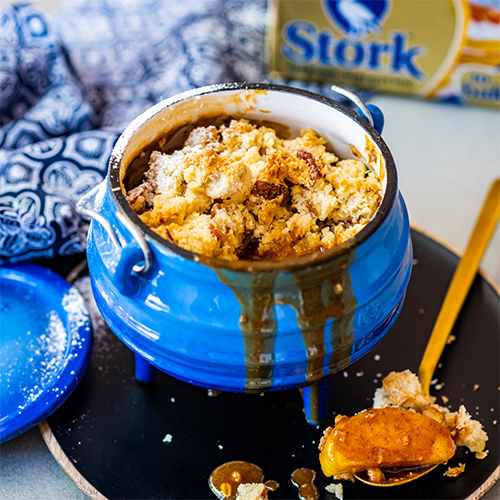 Prepare the crumble by creaming the STORK Bake and caster sugar together. Beat in the egg and mix in the rest of the dry ingredients until completely combined and crumbly. To make the caramel sauce, place the sugar and water in a 700ml capacity potjie over medium-hot coals (or over a gas flame). Stir until all the sugar has dissolved. Allow to caramelise until golden brown, then pour in the cream and add the STORK Bake. Whisk until completely combined and toss in the apple slices and cinnamon. Mix to coat the apple slices completely and sprinkle the crumble over. 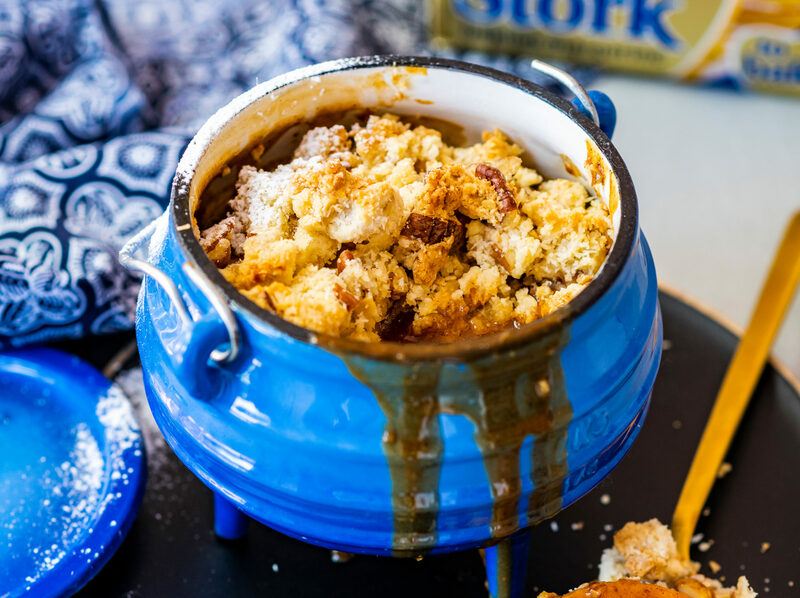 Place the potjie lid on top with 6 coals placed on top and bake for 20 minutes or until the crumble is golden brown and the apples are soft. Alternatively bake in the oven preheated to 180°C for 20 minutes.